First off, I am shipping all TCG orders tomorrow and Tuesday. Sorry for the delay, they were left at my parents' house, but I have them back. I will provide extras with each order as an apology! Everything else is shipped. Anyway, on to the important part of the update: Larvesta and Volcarona collection!!! I believe I have the largest one so far, so check it out! It's all packed up right now in preparation for being re-homed. Diagla Auction Reminder and Reduced sale prices! I've actually been a member for over a year;; Since Feb. 2011. I've been too shy to... properly introduce myself. My name is Jigo. I'm 22 years old and I've loved Pokemon since I was 9, but I really started collecting in 2009. I'm a huge fan of Pikachu and Oshawott! And a little bit of Joltik. I recently did a collection update. It's seen in my journal below. I love looking at other collections! And I'm currently looking for a few items. I'm offering some bits and bobs for sale again :) I'm going on a trip in June and I'm in need of the money, so it's time to let go of some pieces of my collection. Sales permission was received from lineaalba (sp?) a couple of years back. Firstly, my 1:1 Emolga. This fella is such a cutie, and he's in perfect condition with tag. I'm taking offers because I'm a little unsure of what he is worth now, but I will start offers at $100, which is what I paid. Shipping will be a flat rate of $25, to anywhere (except somewhere really mad like Australia - then I will have to get you a quote). 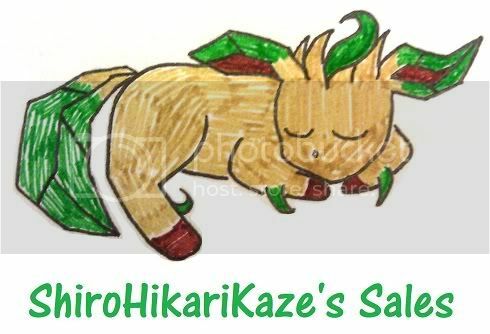 Next is my Zapdos zukan. Really unsure of what to begin offers at seeing as these don't pop up all that often, could any one offer some guidance? I will re-edit this post and make a thread when a minimum offer has been decided? Click the pic below to check it out! I've also lowered the prices on some items since I want these guys gone before I leave! Click below to check it out! And I finally did it....I removed the tags from my plushs. I didn't like that they would get a bit bent on the edges so I removed them and found a nice place to display them. Hello everyone. It's that time again! Added some new stuff. My goal is to reach $250 by this friday for class! D: So let me know if you need any pics or anything!!! Lets do this! 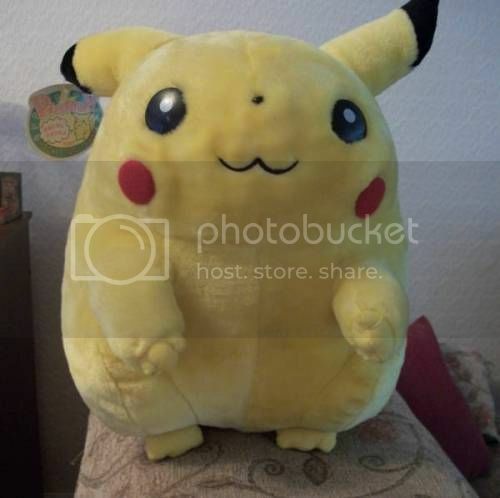 I was wondering if anybody here would be interested in this 1/1 scale pikachu plush that I've had for yonks. 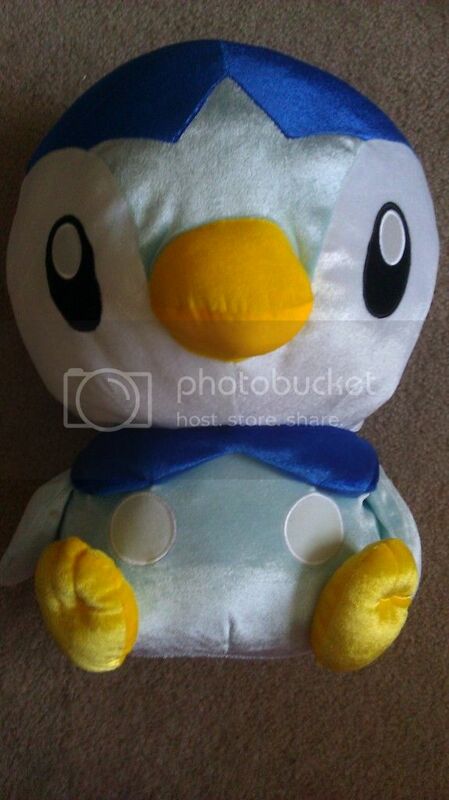 This huge plush is in very good condition :) it's 12"/31cm tall and 10"/26cm wide. I'm not looking for too much on these as they are only going to be repainted. Also, I would prefer US sellers only to help on shipping costs. 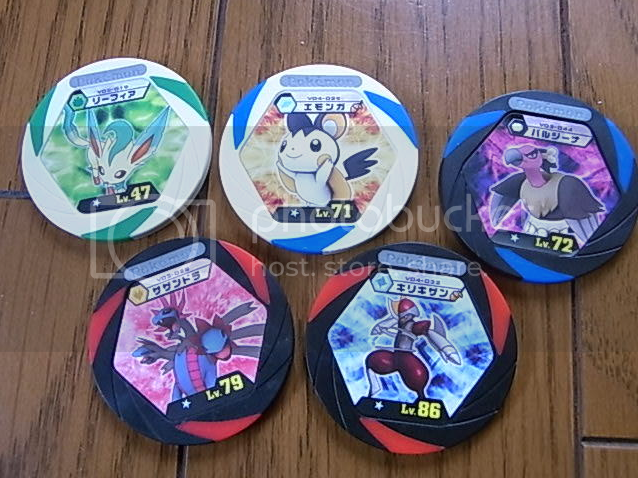 I spy with my little eye, some eevee-lutions! Umbreon, Holo Espeon, Flareon, Jolteon and Leafeon! Excuse the patched together photo, the coins are absolutely fine! Bigger version and detail shots under the cut! Threads will be in order of the coins on this larger image. This GA ends 30 Apr, 8AM BST - Six and a half days from now! Please familiarise yourself with the Group Auction rules if this is your first time bidding. I was granted sales permission in June 2011 by Dakajojo. To participate, comment under the relevant comment thread, replying to the previous bidder only. Note: If my prices seem too high, let me know and I will do my best to adjust them to reasonable ones. I'm just too bad calculating values, and so my prices are only based on what I paid for. Auctions end on Friday April 27th 2012 at 10 PM EST. HEY GUYYSS Just a quick auction reminder for the Zukans and TFG figures i had up for grabs! Just about ONE DAY LEFT. 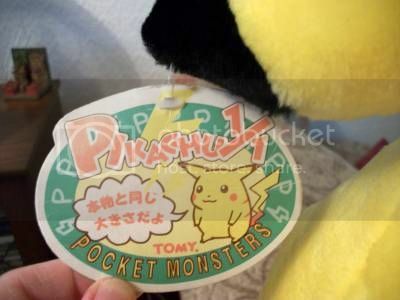 Does anyone know when the GOLBAT one of these will be coming out ;_; Like the patches and the posters and all sorts like that. IT SEEMS LIKE IVE BEEN WAITING FOR A FOREVER FOR IT! I MUST KNOW!! I just wanted to ask for some advice about how to thoroughly wipe out any marker stains on kid figures. I just recently received a huge bag of kid figures. Any advice would help. 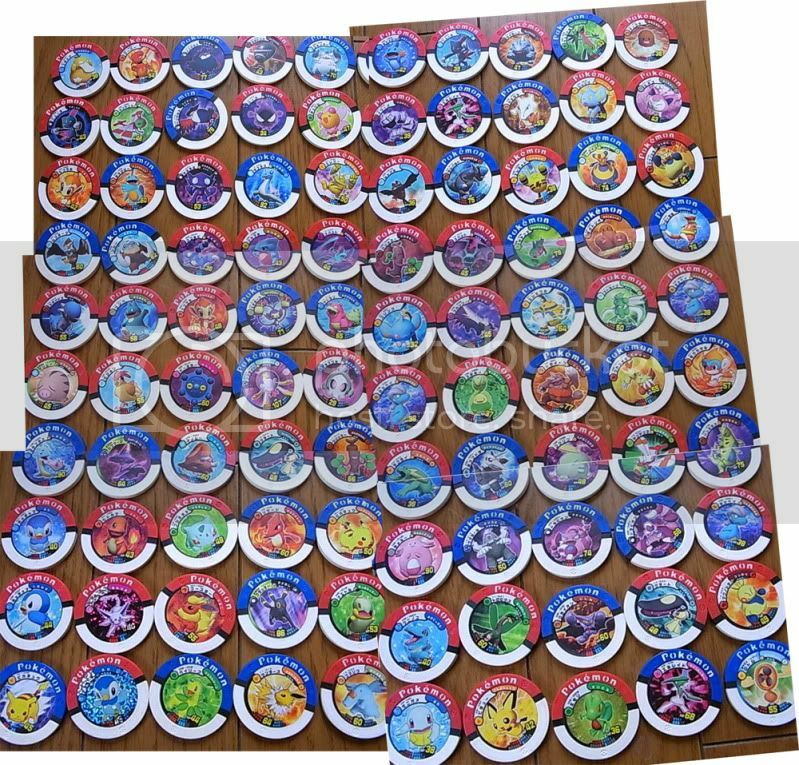 A while back I won a lot containing over 650 kid figures XD. The lot had included all of first gen and second gen plus most of third gen/fourth gen. I've been too busy with college to set up a real sales post but have sold a handful here and there. My main reason for taking so long is that I don't have time to photograph so many figures. So! While a real sales post is in the making (think three weeks from now), I figured I'd give people a head start. Feel free to request kid figures in this post and I'll check to see if I have them :). Of course, I don't have pictures, but you can request specific Pokemon. If you want a certain pose, describe it or send me a photo. Please note: most of these figures are not mint. Many have crayon marks. I've had great luck with magic erasers but some may still have small marks left and the occasional figure has paint scuffs. If the condition is bad I'll discount the figure and let you know ahead of time so you can make a decision. Shipping starts at $2.50 for U.S. orders. For international orders, please inquire but keep in mind that shipping prices were raised this year...just one kid figure costs me $3.50 to ship to most countries now. U.S. orders are typically shipped within a few business days of payment, international orders take about two weeks for me to ship due to post office schedules. Sales permission was granted by astralvulpes a few years ago. My feedback is here. Request away :). I do have attack kids, movie kids, anime kids, etc. but no clears or shinies (look for those in a future sales post!). It's weird but I saw so much Natu items a few weeks ago. I went to go and get them on eBay and here but they are gone. Does anyone have Natu things, or am I not looking very well. I was hoping to get its kid figure and it's plush. Sorry if I used one of your pics, I found these on google. Also, my goal is to get all 2nd generation kid figures, I only have like 10 right now which is kinda sad. But thanks to feathercrotch and Schenzi, and more helpful users. I would buy or trade if that's fine, hopefully my small collection will grow!